Classy, professional DJs who know how to have fun! Give your event venue the perfect glow. Help your guests have fun and make memories! Let us give your event design that extra flair. Are You Looking for a DJ? 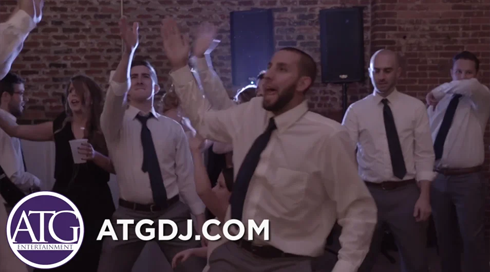 ATG Entertainment is a Charlotte wedding DJ company that has an outstanding team of wedding DJs who are eager to help you design the perfect entertainment for your special day! The ATG Team is available to travel in the surrounding states as well (we've done events in West Virginia, Virginia and South Carolina). Whether you want a small classy reception or a glamorous, extravagant bash, ATG can help you create a memorable event based on your specific vision. ATG also provides lighting and entertainment services for school proms, Sweet 16 celebrations, bar and bat mitzvahs, and corporate parties. If you’re planning an event in the Queen City or a nearby area, ATG is the party planning professionals you’re looking for! 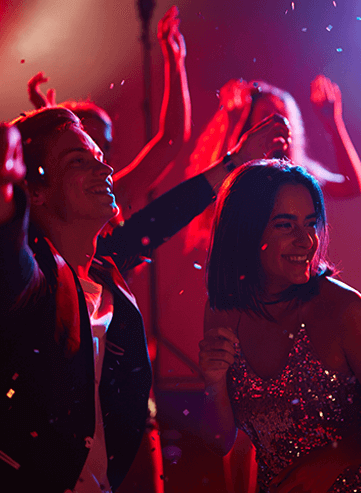 With a full range of event offerings including DJs, lighting, MCs, photo booths, and other entertainment, your event is sure to be a smash hit! Your event is all about you and your guests. The ATG Team is here to ensure everyone is comfortable and having a good time, and everything we do can be traced back to that goal. Our DJs are highly trained, professional, and full of energy so you’ll never have to deal with awkward silences or inappropriate comments. When you’re planning a big event, you want seasoned entertainers who know what they’re doing. With ATG, that’s exactly what you’ll get. The ATG Team’s capabilities extend far beyond this short list, so if you have an event in mind not listed here, just reach out to us! At ATG, we’re in the business of making memories. If you want your event to be cherished by your friends and family for years to come, call us at 704-946-8988 or request more information online. ATG DJ, lighting, and entertainment services are available throughout the Charlotte, North Carolina metro area, including Belmont, Concord, Gastonia, Huntersville, Lake Norman, Mooresville, Mount Holly, Rock Hill, Salisbury, and Statesville.
" ATG was above amazing at our wedding a few weeks ago! Jack was awesome to work with and our guests are still talking about how great the music was that night. They exceeded my expectations! " " Zac did a great job for our daughter's wedding. We used ATG Entertainment for two of our daughter's weddings now, and there's a reason we keep returning! The dance floor was packed the entire reception! " " We felt as ease with our decision to choose ATG. We had Wayne as our DJ and he did wonderful. He was very responsive and helpful whenever we had questions. He did great getting people on the dance floor and also had great song choices. " " We hired ATG for our wedding reception - best decision ever!! Brian, Jason, and the ATG team were very professional, quick to communicate, and as pumped up as we were about our big day!! "